The 2017 IAAF Diamond League season came to a close earlier this month with finals in Zurich and Brussels as a thrilling summer of athletics action drew to a superb climax. As the 32 IAAF Diamond League champions make space on the mantelpiece for their Diamond Trophies, we take a look at some of the highlights of the summer. Returning Champions: Nine athletes who won Diamond Trophies last season managed to successfully defend their title in 2017. Kenyan steeplechaser Conseslus Kipruto, US triple jumper Christian Taylor, South African 800m runner Caster Semenya, Croatian discus thrower Sandra Perkovic and Greek pole vaulter Ekaterini Stefanidi enjoyed a successful end to their seasons. Just weeks after adding world titles to their respective Olympic titles, all five athletes capped their 2017 campaigns by taking the Diamond Trophies in their specialist events. The likes of Jamaican sprinter Elaine Thompson, Bahraini steeplechaser Ruth Jebet, Serbian longer jumper Ivana Spanovic and Czech javelin thrower Jakub Vadlejch may have missed out on gold medals at the World Championships, but they ended their season on a high by winning a second successive Diamond Trophy. Making History: A couple of defeats didn’t dent Perkovic’s discus dominance in 2017. The 27-year-old won her sixth Diamond Trophy, a record tally in a women’s event. She now boasts 38 career wins in the IAAF Diamond League and 45 scoring performances, both also record totals. Fellow thrower Barbora Spotakova also made history. Having won the Diamond Trophy in 2010, the Czech javelin thrower’s victory this year marked the longest span between two Diamond Trophies. After winning the 200m in Zurich and the 400m in Brussels, Shaunae Miller-Uibo became just the fourth athlete in history to secure two Diamond Trophies within the same season, following Allyson Felix in 2010, Carmelita Jeter in 2011 and Shelly-Ann Fraser-Pryce in 2013. Meanwhile, high jumper Maria Lasitskene added her name to the list of four other athletes to have achieved a perfect record, winning at all of the IAAF Diamond League fixtures within one season. And while Renaud Lavillenie’s seven-year record streak of Diamond Trophies came to an end, the French pole vaulter extended one of his other records: he has now competed at a record 51 IAAF Diamond League meetings. Record Breakers: IAAF Diamond League records were established in eight events throughout the course of 2017. The first of them fell in the opening meeting of the season as Thomas Rohler sent his javelin flying out to 93.93m in Doha. One week later, Luvo Manyonga hit the headlines with his 8.61m long jump in Shanghai. Two records were broken in Eugene as Taylor triple jumped 18.11m and Tori Bowie sped to a 21.77 victory in the 200m. Lausanne went one better as series records fell to Wayde van Niekerk in the 400m (43.62), Genzebe Dibaba in the mile (4:16.05) and Maria Lasitskene in the high jump (2.06m). The final IAAF Diamond League record of 2017 came in Monaco, where Semenya stopped the clock at 1:55.27 to win the 800m. Winner Takes All: The new format of the IAAF Diamond League – whereby the first 12 meetings of the season act as ‘qualifiers’ ahead of a winner-takes-all final in either Zurich or Brussels – left the door open for potential surprise winners. Ultimately there didn’t seem to be a larger number of shock victories compared to previous years, but there were a few notable examples. Before the shot put final in Brussels, Darrell Hill had finished no higher than fourth in his three previous IAAF Diamond League appearances in 2017. 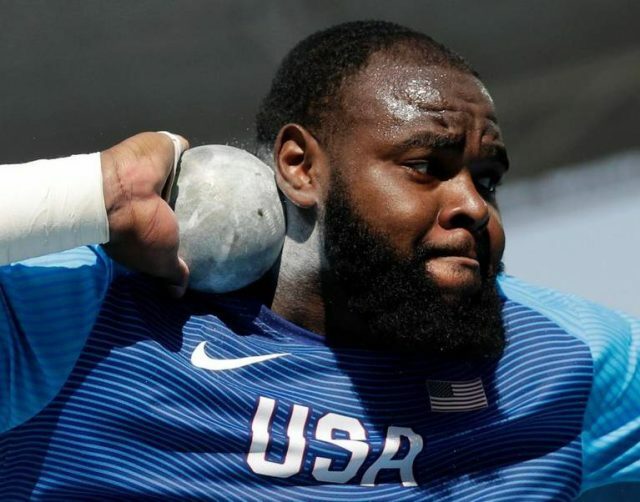 But the 24-year-old US thrower unleashed an almighty PB of 22.44m in the final round to take the win – and the accompanying $50,000 winners’ check. Apart from the men’s 200m, the Diamond Trophy winners in every other discipline had competed at the IAAF World Championships, many of them winning medals. An injury at the US Trials ended Noah Lyles’ hopes of competing at his first World Championships, but he returned in time for the final in Brussels to win the men’s 200m Diamond Trophy. Kyron McMaster had made it to the World Championships, but the 400m hurdler from the British Virgin Islands made an early exit after being disqualified in the first round. He used that as motivation and bounced back in Zurich to take the Diamond Trophy. McMaster was one of nine athletes who didn’t have any wins to their name in scoring disciplines from the IAAF Diamond League meetings earlier in the season, but victory in the finals was enough to secure a Diamond Trophy. Other athletes to achieve the same feat were 100m sprinter Chijindu Ujah, 400m runner Isaac Makwala, sprint hurdler Sergey Shubenkov, discus thrower Andrius Gudzius, javelin thrower Jakub Vadlejch, sprint hurdler Sally Pearson, steeplechaser Ruth Jebet and triple jumper Olga Rypakova.